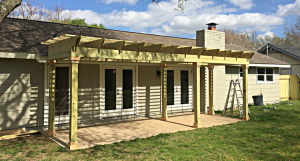 Blue Ridge came to us as a “pocket deal”—one that our long-time general contractor, Ruben Natividad, and a Realtor® friend brought to us before it hit the MLS. We were able to negotiate the contract while we were in San Diego at a week-long real estate conference. It was our first deal as Hermit Haus Redevelopment. 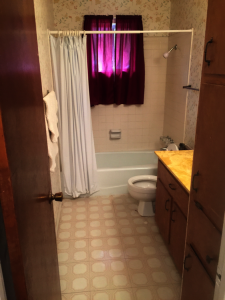 We were able to help the seller out of a house he no longer wanted and had not maintained. The bones of the house were good, and the layout was on par with the neighborhood. But it looked as if it had not been updated since it was built in 1975. In addition to taking care of the deferred maintenance, we had a good bit of work to bring the house into the 21st century. Unfortunately, Ruben had to remove himself from the bidding on this project because he already had more work committed and did not have the bandwidth to take on a project of this scope. We ultimately awarded the work to another contractor and got the project underway before the end of 2015. Even though that contractor was referred to us by a real estate attorney with whom we had also done business, a series of personal crises in his life pushed completion of the project out by more than a month. 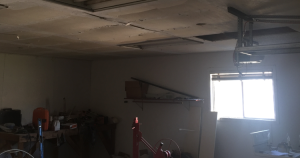 In the end, we had to bring in several other contractors to repair and finish the work he started. Lesson Learned: You can’t always rely on someone based on reputation. All contractors have an expiration date. Keep a close eye on them and act quickly when you first notice problems. When we bought the house, its front was almost completely hidden behind overgrown shrubs and trees that were all growing too close. Luckily they had’t caused any foundation problems yet. 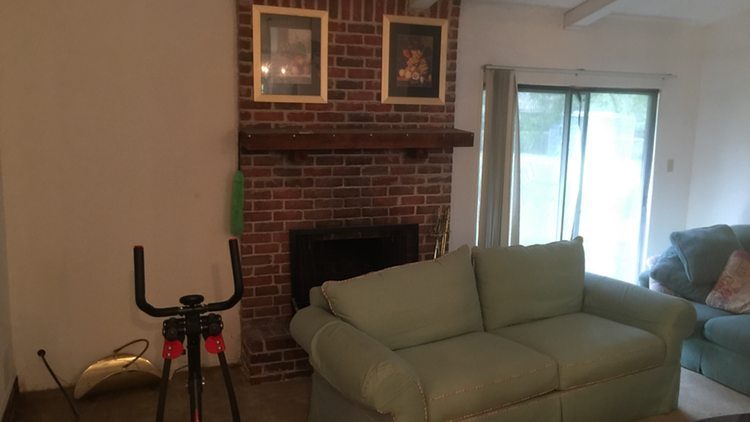 We removed the jungle, the dated Spanish arch, and the brick “wings” to either side of the kitchen protuberance. We had originally intended to leave the brick facade on the kitchen, but it came down during demolition. 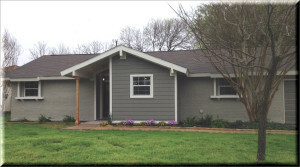 The HardiePlank Lap Siding provides a cleaner, more modern look. We removed a dead tree from the front yard and planted new grass. We also replaced the giant mailbox with one mounted on a simple post that echoes the new front porch. 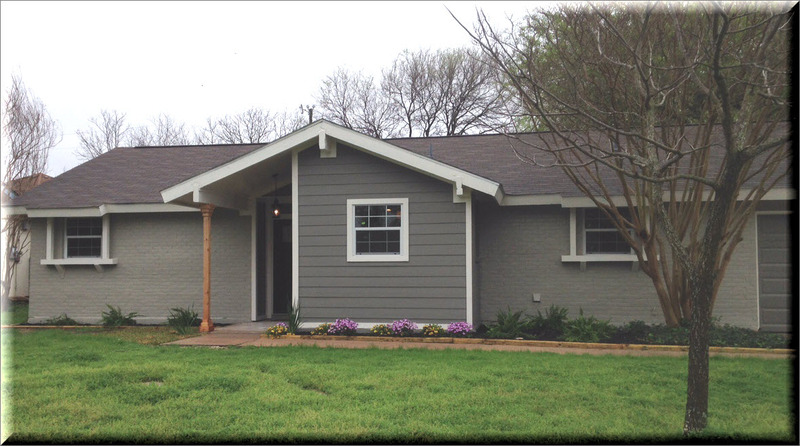 Blue Ridge features a huge back yard, perfect for a growing family. There is plenty of room for the kids to play. When we bought the house, the back yard was dominated by a huge dead tree in the back corner and a decaying fence line. We brought down the tree, cleaned up the lawn, and replaced the falling-down fence. The neighbor cleaned up another dead tree that had partially fallen on his house and was threatening the renovated fence. 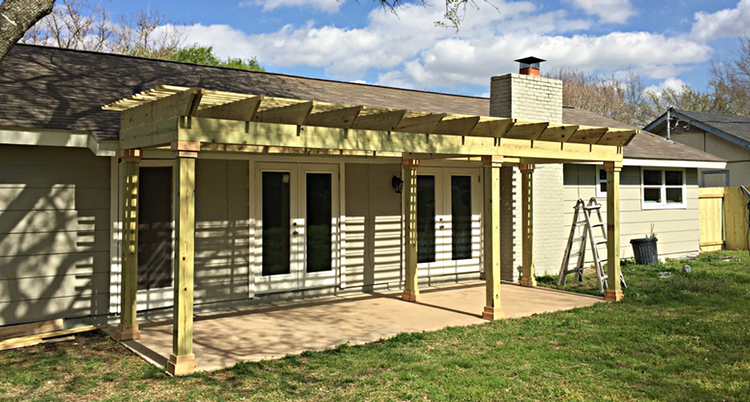 Because the back of the house catches the western sun, we added a pergola to shade the living room and master bedroom. 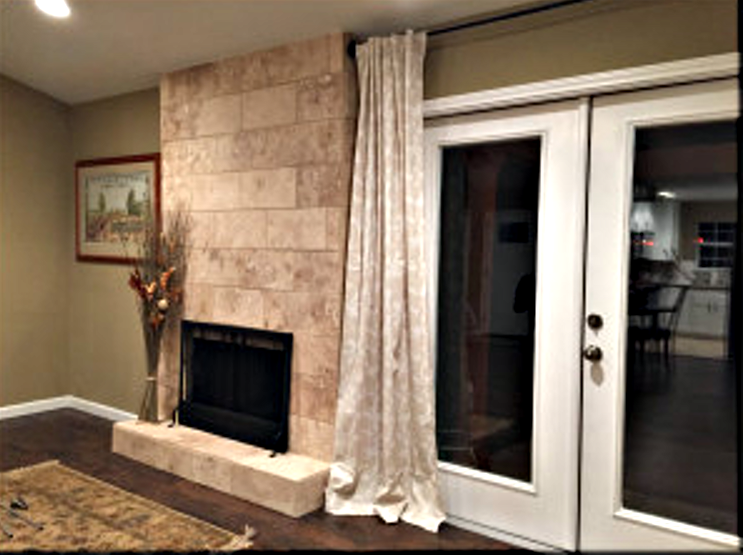 Both of these rooms had clunky sliding glass doors, which we replaced with elegant French doors. One more thing needs mention before we move inside the house, even though it’s not something you’d notice unless you were specifically looking for it. 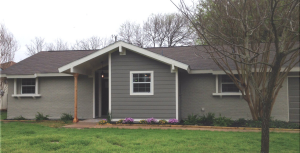 All of the windows have been replaced with new, energy-efficient double pane windows. This update should reduce energy costs and outside noise, making the entire home more cozy and comfortable. A new, secure front door with a leaded glass window welcomes visitors. The kitchen at Blue Ridge protrudes from the front of the house. 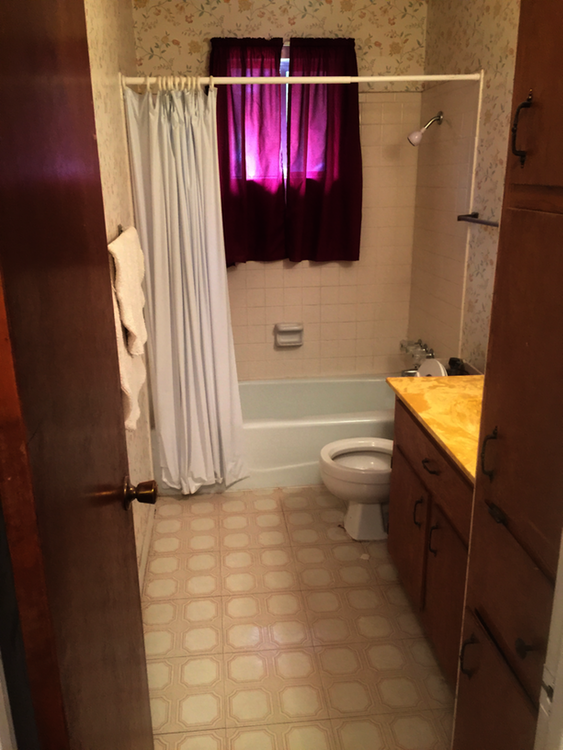 It was originally walled off from the dining room, and quite dingy. Not a place a cook would want to linger! We turned it into a modern, if still small, kitchen. 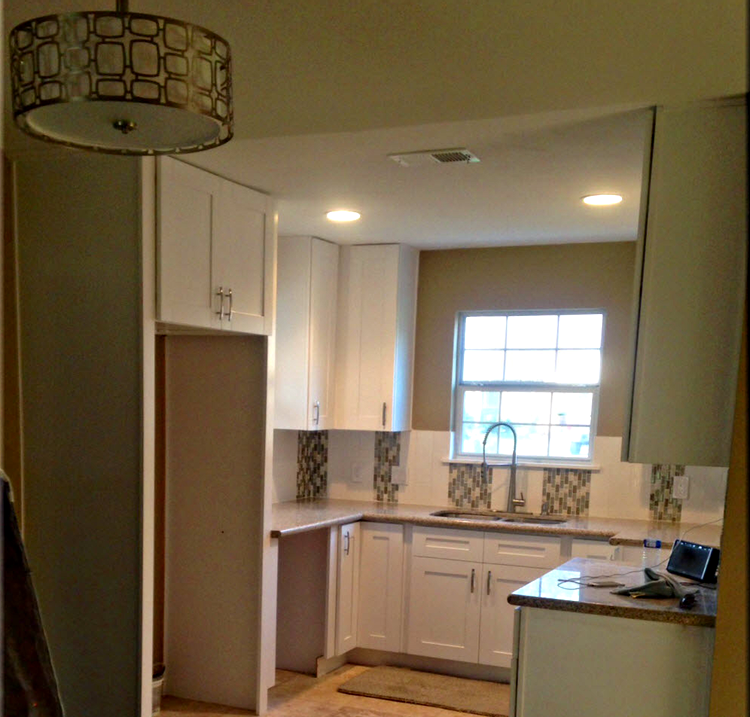 We replaced the cabinets with new, white ones featuring soft-touch doors. 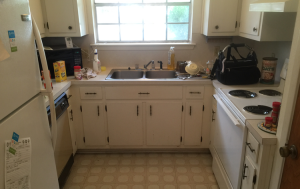 In addition, we replaced the plumbing, updated the appliances with stainless, and opened up the entry to make it feel more open to the dining and living areas. 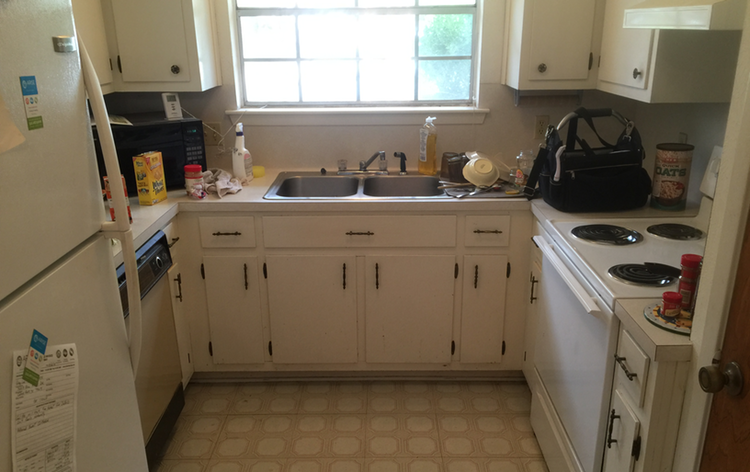 Removing the plants from the front of the house brought in much more natural light, making the kitchen a cheery place to work. 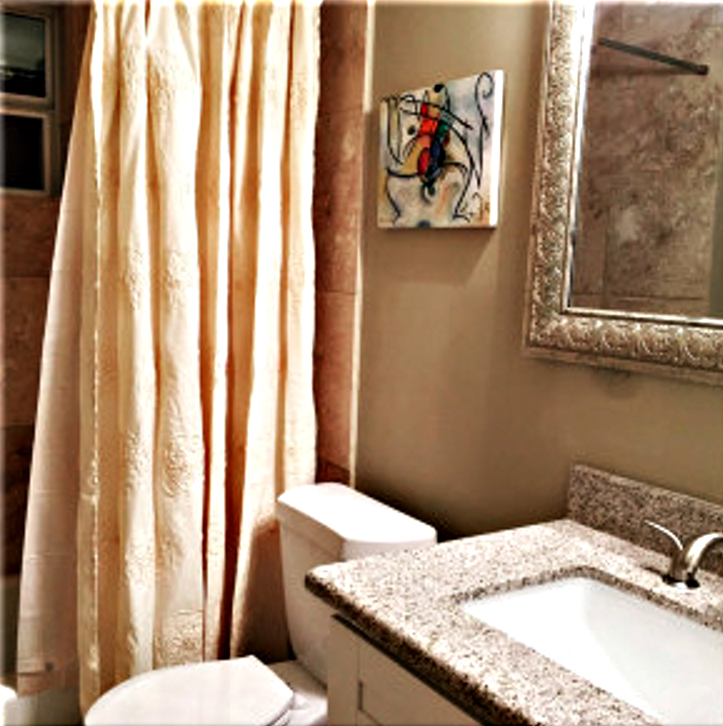 New backsplashes and granite countertops lend a sense of elegance that every family deserves. New travertine tile ties the kitchen in with the rest of the common areas. The flooring gives a sleek yet timeless feel to the house. In a precursor to the open concept, the dining and living rooms were partially opened. Yet they were isolated by a half wall that wrapped around the dining area creating the sense of an entry hallway. The living room was sunken by about four inches from the rest of the house. We opened all of this space and raised the living room floor to the same height as the rest of the house. 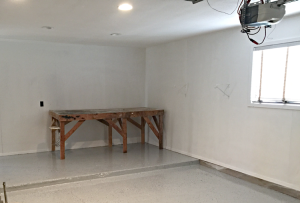 Rather than framing it in as we had seen done in a similar remodel, we filled the void with cement to eliminate any cacophonous thudding in the floor. Eliminating the half wall that wrapped the dining room opened the nightlines from the front to the rear doors, which were changed from sliders to French doors. This one, big smooth space will make decorating and furniture placement much easier! Finally, we reclad the fireplace with travertine tiles cut in half and laid vertically and wrapped the exposed beams, staining them with a clear, natural finish to lighten the space. The master suite opens to the back yard so you can awaken to the singing dawn, enjoy the summer breezes, or watch the sunset—all from your adult refuge. The French doors to the back yard echo the ones in the living room while the French doors that open to the living area offer a bit more privacy when you choose. The two guest bedrooms benefited from the new windows, and now have new carpet and neutral paint. The closets have new rods and handy shelving! We staged them with nice beds, so potential buyers could see that they are big enough for more than single beds. Staging was important to the house. We added a small dinette set, artwork, and curtains to give buyers an idea of how the house would look, without putting a whole set of furniture in. That ended up being good, since the house was on the market for such a short time. For the mechanic in the family, we even updated the garage, which already featured a large work area. We kept the large workbench. We put up new drywall on the ceilings and added can lights to provide adequate lighting for most garage projects. Then we epoxied the floors to make them easy to keep clean and comfortable to walk on. They are actually rather beautiful! Post Script: Due to the low appraisal the house received, we could not sell it for the price buyers were actually willing to pay. So, we listed the house as a rental, and now have a lovely family committed to stay there for the next two years. That will bring in some income, while the house appreciates in value. The area is rapidly appreciating, so this may well be a better idea than selling now, in the long run. It pays to be flexible and have multiple exit strategies.